Big boys of cartridge razor are still fighting. Cartridge razors are probably most popular tool for shaving in all of the world. Question is if it’s the best shaving tool? The answer for that kind of question isn’t so easy. For sure it has some of the advantages in comparison to straight razor or safety razor, but also have few disadvantages. To get proper knowledge you need to know all these advantages and disadvantages. One sentence is quite important in cartridge razor niche “People say shaving isn’t rocket science, but it is”, according one of the Gillett’es principal scientists they had a rocket scientist who came from British Aerospace. From 14 years Gillette discover and started to produce only two new razor lines. Mach 3 in 1998 and Fusion in 2006 and they spent approximately 750 mio $ on each for development and research cost. When you analyse more deeply that business its pretty weird one. On the one hand, its basic piece of plastic design to throw out after used few times. On the other, it’s done with good knowledge about engineering and medical know-how, for example Gillette Fusion contains more than 60 parts and even it’s so complicated that only two factories in the world that can produce it. Another example is the blades in fusion are really thin, let say they are thinner than surgeon’s scalpel. Another insane info is ProGlide razor have inside voltage controller to regulate vibration and microchip that knows when it’s being used. Market is also weird because on the table is big bag of money on it. Its estimated that all shaving market on all world is 34 bilions $ and currently 60% of that bunch of money is in Gillette (P&G) hands. In opposite side we can find great ideas in that markets, for example “dolar shave club” which manufacture functional, but basic razor in East Asia and sell them online with significant discount, major factor is for sure the price because they advertise “Sign up and year’s supply of 60 twin-blade cartridges you can get for 1$ a month. In the first year of business they made 10 mio $. And last but not least is price. Business model is created in way that you can buy relatively cheap the handle with one razor, but when you want to buy refills cartridge they are quite expensive. We would even stipulate that its most expensive way of shaving. Safety razors, straight razor and even disposable razors are cheaper than cartridge. Of course the big companies have to persuade you all the time to buy new product and they are trying to convince you that new type of razor provide you the best closest shave possible of course it means they added another blade. Historically Gillette added second blade in 1971 in Trac II. After that Gillette added third blade in 1996 in Mach 3, accompanied by marketing campaign and adverts that costs approximately 300 mio $. Biggest competitions in cartridge razors Wilkinson introduced Sword line with four blades in 2003. Next year was also the year of fighting. 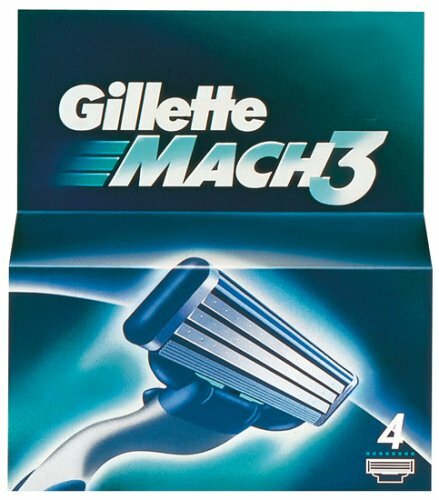 Gillette introduced new battery powered version of Mach 3 named Mach 3 power and stipulated as “shaving closer than any other blade on the market”. Wilkinson of course have different position and went to court. Even that technically Gillette was right, the customer can’t see or notice any difference Gillette made to pay big penalty. After two years (2006) world was attacked by first five blade razor. 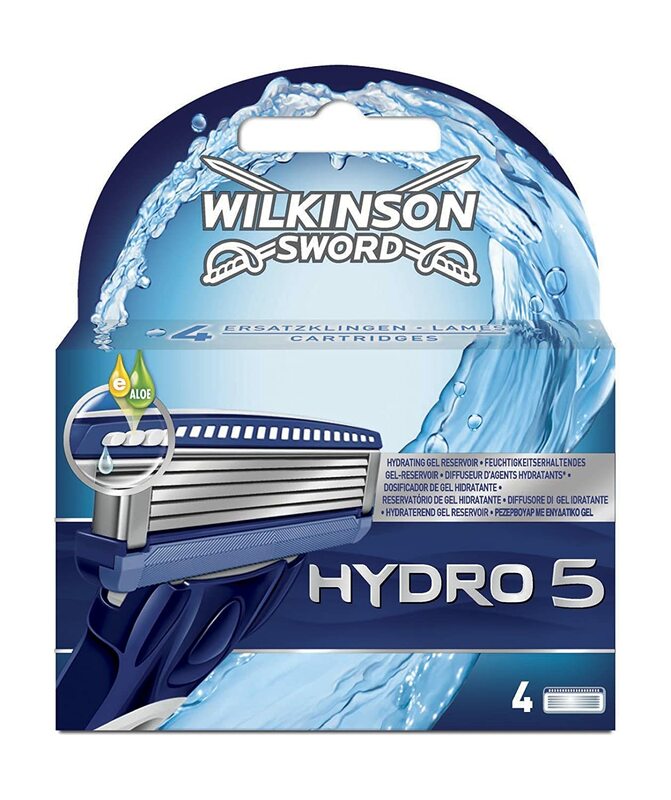 Wilkinsson punched back in 2012 with his five blade razors named “Hydro 5 Power Select”. In the meantime the companies have added lubricating strips, pivoting heads, spring-loaded blades or titanium coatings. Now they are preparing for sure for another round in that fight. 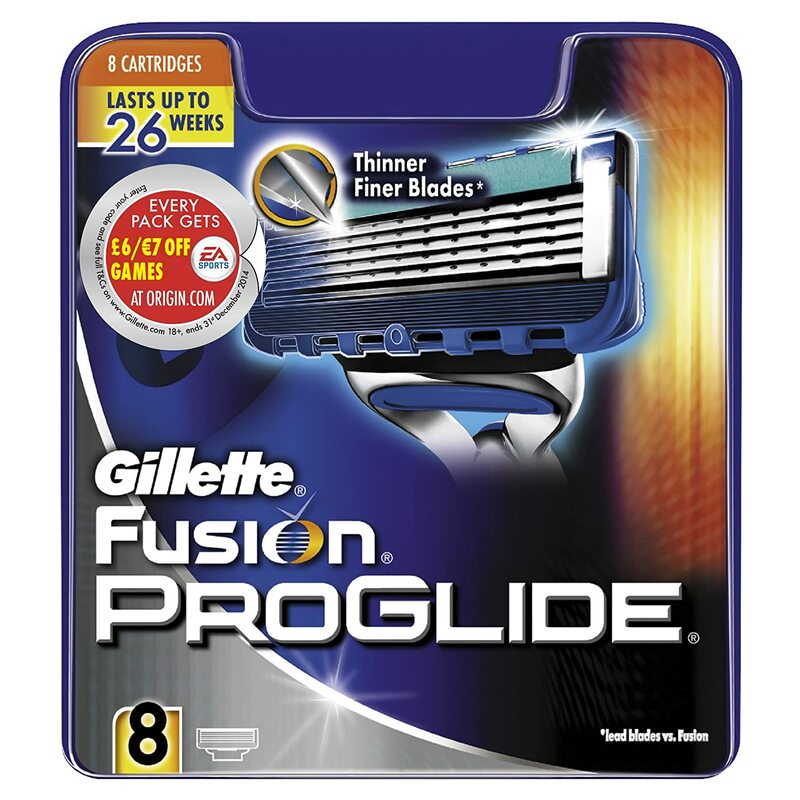 Gillette Fusion ProGlide razor having a thin, perfectly cutting blades that were covered with a friction reducing coating. Precision Trimmer provides a close shave, even in hard to reach places without the unpleasant feeling. Additionally, this cartridge razor has a comfortable handle, which ensures safety during shaving, even in the shower. In opposite to previous technology of cartridge razors, it has up to five blades PowerGilde, fifteen microstocks and precision trimmer which emits micro-pulses. The distinguish feature of this cartridge razor is applied in the micro-comb, which helps direct the hair will be pulled under the blade so hair removal is even easier. The size and weight of the razor feels more comfortable in hand than other razors. 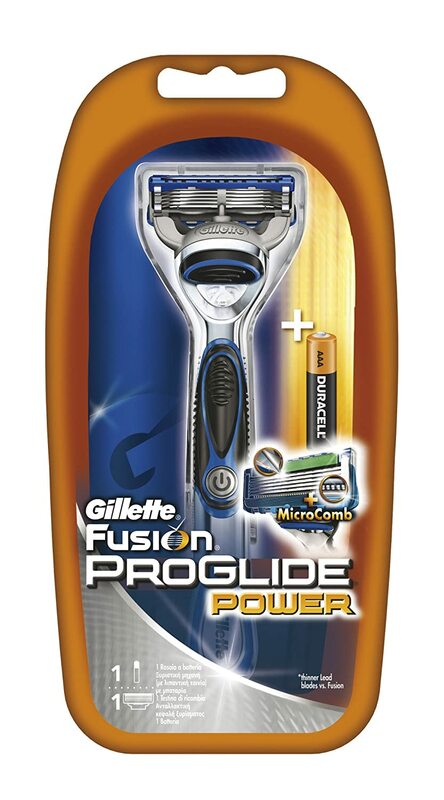 Answer for Gillette Fusion Power from Wilkinson company. First tool with brand Wilkinson which have five blades, also it includes Advanced Hydrating Gel Resorvoir to prepare your skin to water interacts with solid lubricant. Another new technology is Ultra Glide blades with skin guards which according producer will prevent your skin getting caught between blades reducing the risk of skin irritation. 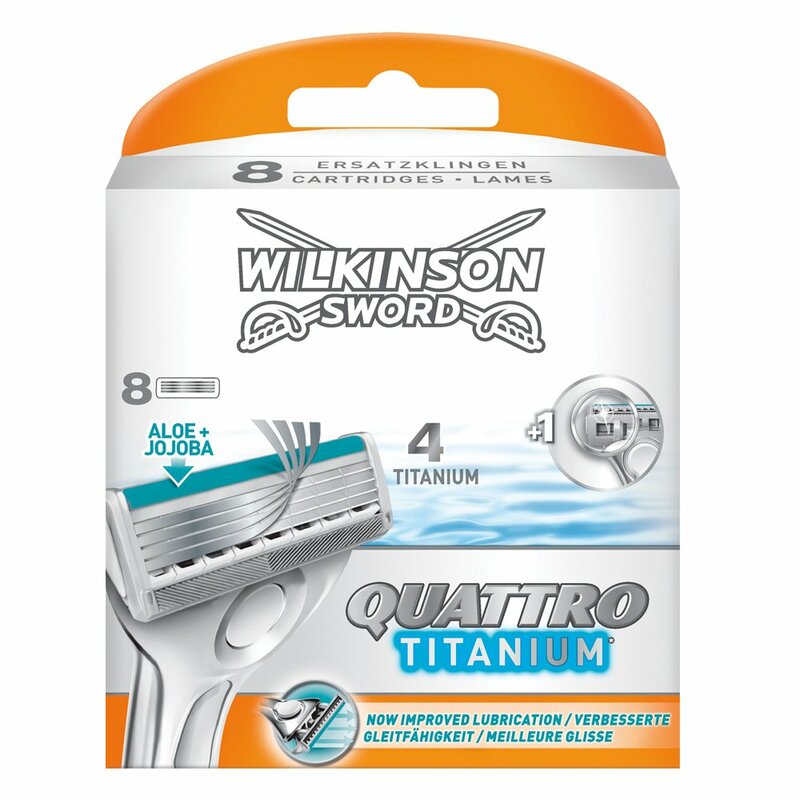 Base for the Wilkinson Sword Quattro Precision is system known as the company’s four-bladed razor head. The titanium name is coming from the fray as the blades are coated by titanium , which Wilkinson claim that keep the blades sharp. On the back of the main head you will find the precision trimmer, a single titanium coated blade that is designed to shave those areas that you can’t accurately have close shave with the four-bladed face. Mach 3 cartridge razor is equipped with a triple blade system, which can easily adapt to the shape of face of every man and remove hairs even in hard to reach places. It has a lubricating strip with added aloe and vitamin E, which provides the skin proper hydration, preventing drying and irritation caused by shaving. Thanks to the nice handle a comfortable handling in the hand is guaranteed. Cartridge razor can be recommended for both men shaving starting, as well as those who shave for a long time and have a strong beard. The former are in fact guaranteed safety, while others may provide a simple and quick shave. Also ideal for sensitive skin that is easily irritated during shaving with other devices. On the other side is for sure price. Systems Razors are the most expensive way of shaving and not all users can afford to pay that cost.